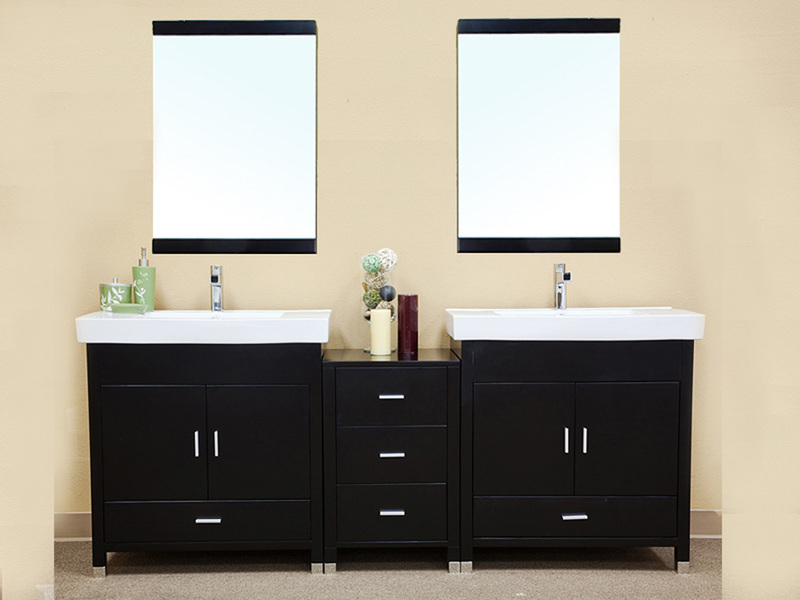 With its clean lines, metal accents and dark finish, the Stillwater Double Vanity has a terrific modern design. 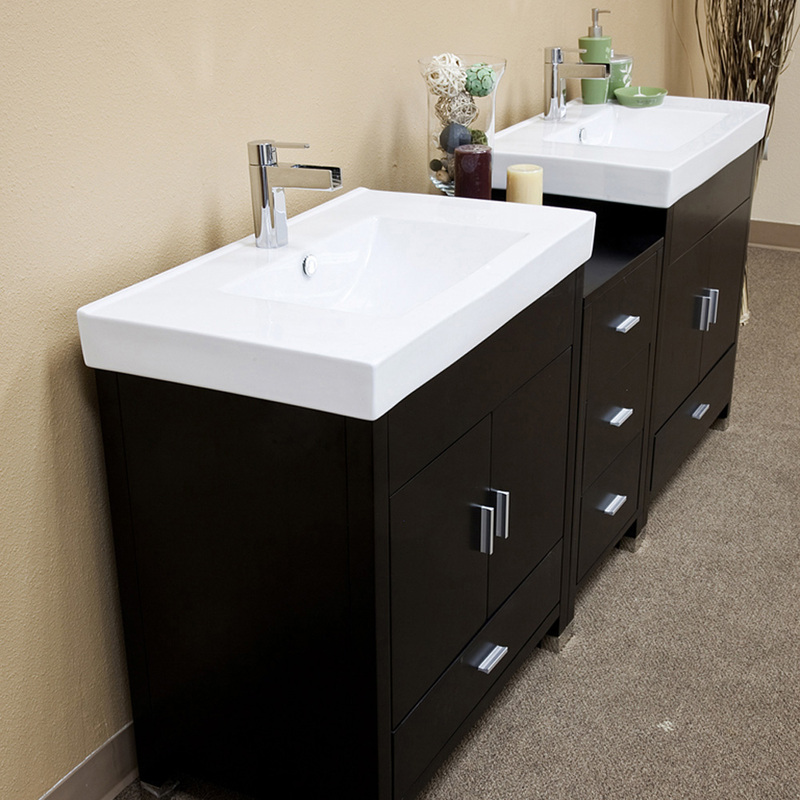 The vanity has two ceramic sinks integrated with a ceramic surface area for placing soap and other bathroom accessories. 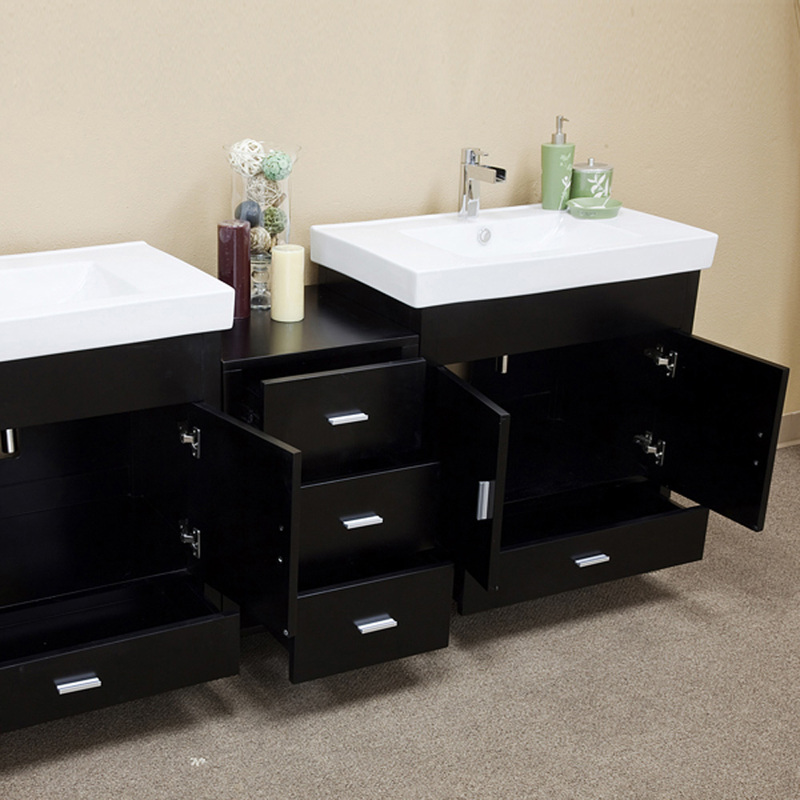 The two vanities are joined by a bridge that provides more surface area and storage. 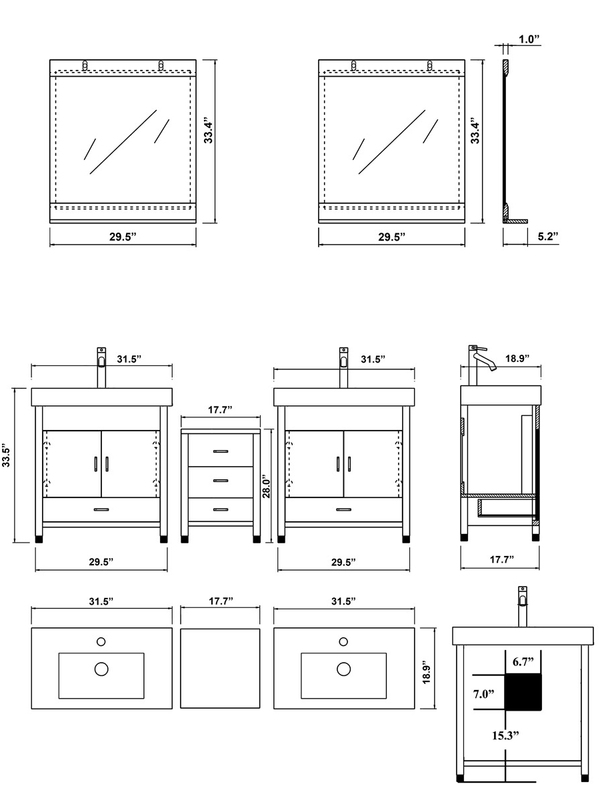 With a total of five drawers and two cabinets, you will have lots of storage options for your bathroom necessities. The drawers open and close easily on their ball bearing glides, and the cabinet door close gently with their soft close hinges. This solid birch wood cabinet is built to last, and has a great modern look. 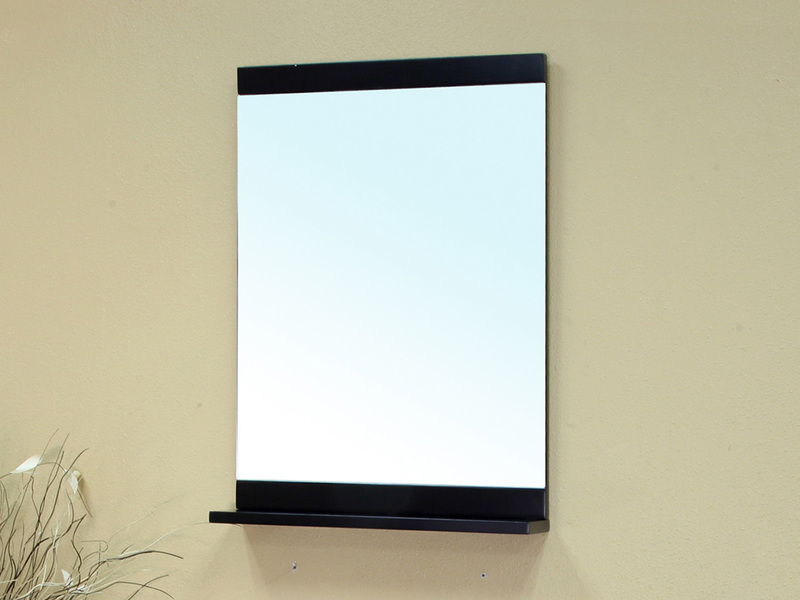 A set of matching mirrors is available to complete your bathroom decor.